It’s been over two months since I am contributing to the marketing team at Make WordPress. Despite, I contribute to other WordPress teams at make, but some things are really special about the marketing channel. It all begins with the idea of deciding which Marketing subgroup you’re most interested in contributing to. And then, of course, the incredible folks I get to interact with. This makes the workflow more aligned and precise. Yes, we spend a lot of time developing new ways to have us caught within the WP ecosystem, and this is indeed a doable thing. So, what’s the general perception of the marketing team at Make WordPress? You get project updates, announcements, meeting notes and what not! Nothing new I suppose! However, yesterday we hosted probably the first live writing session for WordPress. It consisted of me along with 15+ people drafting a Google Doc simultaneously about why developers should WordPress. This post describes how this idea got executed and its outcomes. Yesterday’s meeting about Marketing to Developers in the WordPress Slack channel was probably one of the best chats I ever had. Bridget suggested gathering the points in a Google Doc. And it was right after that when more than 15+ awesome folks stepped up and started penning down their thoughts about the topic. So, it was a collaborative effort which helped us almost complete the entire draft in less than 45 minutes. 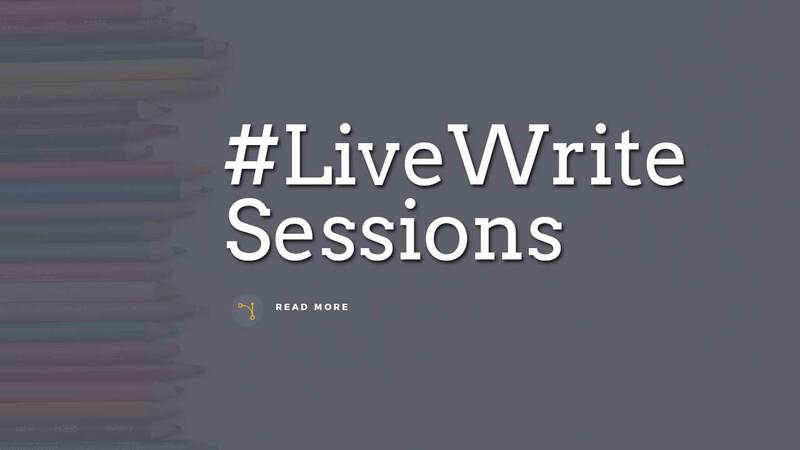 #LiveWrite sessions can become a community focused drive. Just like we celebrated Global Translation Day, there can be #LiveWriting events where the WP community can unanimously write content about WordPress. #LiveWrite sessions can be merged with the idea of Live Tweet feeds on WordCamps, meetups, workshops, etc. My initial #LiveWrite event was a blast for me to do. I had a lot of fun, and everyone did a great job. I hope and look forward to sticking with this idea in the upcoming meetings as well. At the same time, I’d love to hear your feedback about it. Post your comments below or reach out to me via Twitter. What an awesome use of collaborative Google Docs 🙂 I agree that this has a lot more potential for all kinds of other uses in teams, even technical doco. And you are so right about that.